I can't find anything to criticise about the car. It has exceeded all my expectations which were quite high to begin with. Of all the four door coupes on the road to day I still think it is the most beautiful and no question it is the best value. My 2014 is my second one; what else can I say. 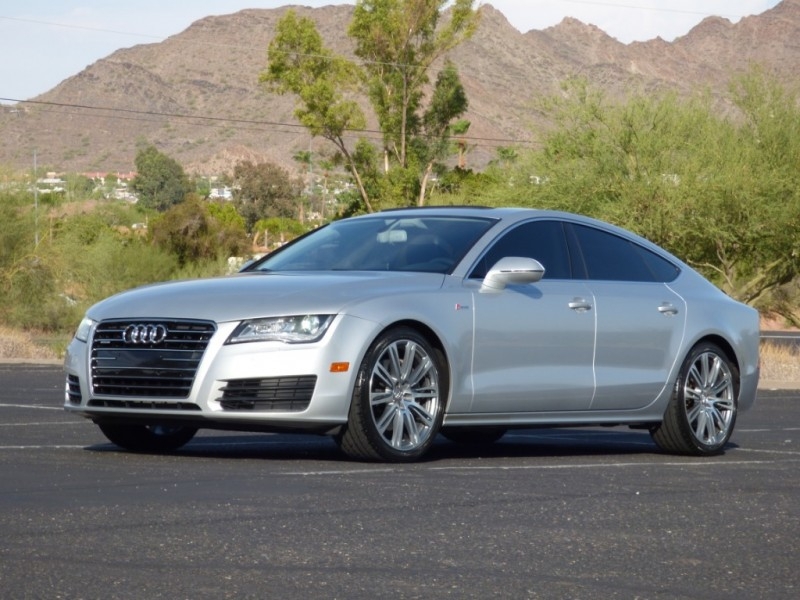 Sorry, we couldn't find any 2012 Audi A7 listings that matched your search criteria. Avg. Dealer Rating: (50 reviews) "Good and helpful "
Avg. Dealer Rating: (16 reviews) "Great customer service friendly and straightforward." Avg. Dealer Rating: (18 reviews) "Great experience, I can’t say enough positive things about my experience. Brad ensured that of my questions were answered and was not pushy by any means. He truly ensures the customers needs are met. I highly recommend this business. I will make them my permanent auto dealer going forward. " Avg. Dealer Rating: (22 reviews) "Very nice, when I spoke to him." Avg. Dealer Rating: (33 reviews) "Love it "
Avg. Dealer Rating: (8 reviews) "Jose was very professional and helpful!" Avg. Dealer Rating: (153 reviews) "Responded with in 24 hrs. " Avg. Dealer Rating: (22 reviews) "Very responsive "
Avg. Dealer Rating: (40 reviews) "Very good people"
Avg. Dealer Rating: (41 reviews) "I contacted them three times and got automated responses. I never heard another word or received an answer to my attempt to set up a meeting. Apparently not interested in my business." Avg. Dealer Rating: (29 reviews) "We simply exchanged a couple of emails, but Steve was courteous, respectful and very knowledgeable. I appreciated his response."